The NSI Clear-Line™ LS includes interchangeable blades with innovative blade-alignment grooves. 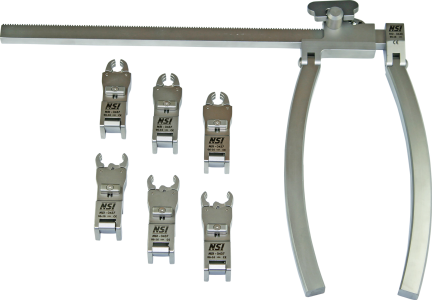 All of our NSI Clear-Line™ LS Lumbar Retractor sets are designed with interchangeable components that will work with competitive systems... at a lower cost. 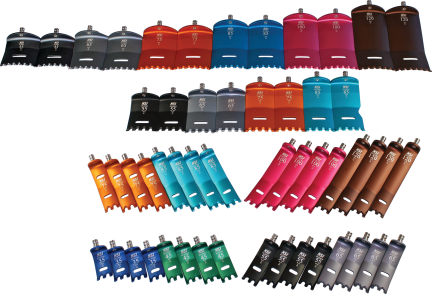 The Clear-Line™ LS Blade Upgrade Sets includes blades that are interchangeable, color-coded, and radiolucent. 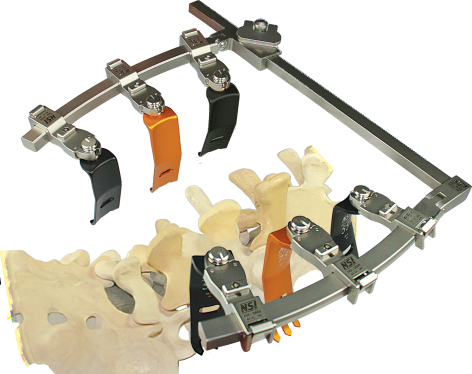 The Clear-Line™ LS Frame Upgrade Set includes an interchangeable frame and adapters.